Amazon is packed with cool features that can make your life easier. 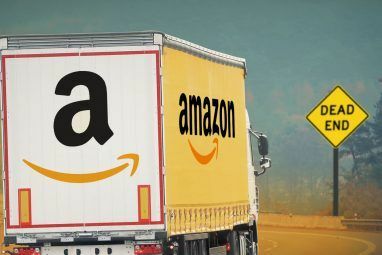 You’ve got your core set of Prime benefits 10 Awesome Amazon Prime Benefits You May Have Overlooked 10 Awesome Amazon Prime Benefits You May Have Overlooked Free two-day shipping is just the beginning. Here are some notable Amazon Prime subscription benefits you may not know about. Read More , plus several newer Prime features 7 New Amazon Prime Benefits You Didn't Know About 7 New Amazon Prime Benefits You Didn't Know About You don't need Prime to benefit from Amazon. But Amazon Prime comes with a few lesser known benefits you may not have tried yet. Read More that trickled in over the years. There’s a lot to love about Prime. But what if you don’t have Prime? No problem! Amazon still has dozens of other useful perks that you can take advantage of right now without paying an extra cent. You probably know about a few of these already, but I guarantee there are a handful you’ve never even heard of before. Amazon offers free tracking on all orders, which is fantastic. But if you live in an apartment like me, you’re tired of logging in and refreshing the status every few hours to see if your packages have been delivered yet. Or you live in a shady neighborhood and need to know when packages are delivered so you can notify your friend to pick it up for safe keeping while you’re at work. Just go to the Shipment Update Settings page and add as many phone numbers as you want. Whenever Amazon detects a change in package status, updates are sent by text message (but only between 4 AM and 5 PM EST). Message and data rates may apply. On the Order History Reports page, you can export a CSV file that includes all of your Amazon purchases between a start and end date. CSV files are viewable in all spreadsheet apps. Other report types include refunds, returns, or everything. You can use these reports to see how much you spent on Amazon in a year How to See Exactly What You Spent on Amazon Last Year (or All Time) How to See Exactly What You Spent on Amazon Last Year (or All Time) How much do you think you spent on Amazon last year? Here's how to find out. But be warned, the answer may shock you! Read More , which could possibly open your eyes to a potential spending addiction. You can set a default shipping address for your account. You can connect with Friends and Family members. When you check out, the “Select a shipping address” section of the process will have the option to select a recipient from among your Friends and Family. The recipient’s default shipping address also acts as their Gifting Address, which is where the package will go. Amazon Lockers are bright yellow locker stations available all around the United States, though most concentrated in metropolitan areas. When checking out, you can have packages delivered to one of these lockers — almost like a temporary P.O. box. This is an excellent option if you live in a neighborhood with high rates of theft. Packages must be picked up within three days of delivery. Learn more in our overview of Amazon Lockers What the Heck Is an Amazon Locker? Safer Deliveries for You! What the Heck Is an Amazon Locker? Safer Deliveries for You! Amazon offers a delivery option that no other online retailer does: local lockers where you can pick up items and drop off returns. And they're freaking amazing. Read More . All Amazon accounts receive 5 GB of free cloud storage on Amazon Drive. This is a private file storage service similar to Dropbox, Google Drive, and OneDrive. If you have a Prime membership, you instead get unlimited photo space and 5 GB of space for files and videos. If you need more space, paid plans start at $12 per year for 100 GB. After that, storage limits increase in 1 TB increments with pricing at approximately $60 per year per TB. Amazon has a coupons section where you can find discounts on all kinds of items: health, personal care, food and beverages, electronics, pet supplies, home goods, and more. Most of the coupons provide tremendous value. For example, a quick peek shows a $2 Off coupon for a Head & Shoulders shampoo product priced at $7. Another coupon shows 30% Off for a 12-pack of Starbucks Refreshers priced at $18. 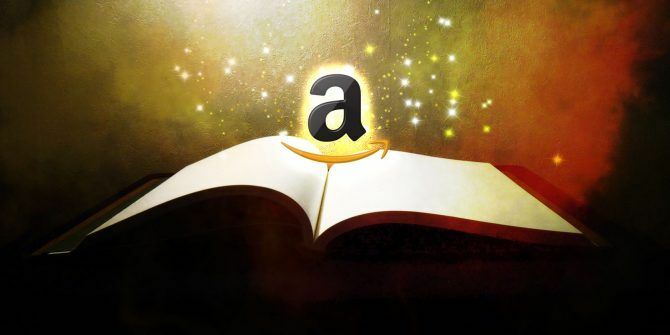 You probably already know about Amazon’s Deals, which include Deals of the Day, Lightning Deals, and Prime Early Access Deals. But have you heard of Warehouse Deals? These are discounts on used and open-box products sold in one of four conditions: Like New, Very Good, Good, and Acceptable. These are a great way to save money for very little risk Should You Buy Second-Hand Tech? The Pros and the Cons Should You Buy Second-Hand Tech? The Pros and the Cons Tech is expensive, so buying second-hand is always an option. But is it a good idea? We take a look at the pros and cons of buying pre-owned gear. Read More . Let’s say you have kids and you want to give them the freedom to shop on Amazon, but with an upper limit on how much they can spend. You can do this through Amazon Allowance. First, set up an Amazon account for the recipient. Then, use Amazon Allowance to deposit funds into their Gift Card Balance. They can shop freely and never spend more than what’s on their Gift Card. Deposits can be one-time or recurring. If you have any of Amazon’s many devices A Brief Guide to Every Amazon Device on the Market A Brief Guide to Every Amazon Device on the Market Amazon now sells a lot of consumer electronics bearing its own name, from e-readers to tablets, from streaming sticks to smart home devices. This article offers a brief guide to every Amazon product available. Read More (e.g. Fire Tablet, Fire TV, Kindle Fire, etc.) and shop on the Amazon Appstore for apps, games, and in-app purchases, then you can stretch your money further with Amazon Coins. You buy Coins with cash and 100 Coins are worth $1 in the store — but when bought in bulk, Coins can provide a discount up to 25 percent. Do you have credit cards and bank accounts tied to your Amazon account? Amazon Pay lets you use those payment methods when shopping on non-Amazon e-commerce sites, as long as those sites accept Amazon Pay. The benefit is that you don’t have to type in your credit card numbers and bank account numbers on those sites, which limits the risk of identity theft 10 Pieces of Information That Are Used to Steal Your Identity 10 Pieces of Information That Are Used to Steal Your Identity According to the US Bureau of Justice, identity theft cost victims over $24 billion in 2012, more than household burglary, motor, and property theft combined. These 10 pieces of information are what thieves are looking... Read More . Amazon keeps your details secure. If you thought video streaming was only available to Prime Video subscribers 10+ TV Shows That Make Amazon Prime Worth the Money 10+ TV Shows That Make Amazon Prime Worth the Money Netflix is undoubtedly the king of the movie and TV show streaming services. However, Amazon Prime has some fantastic television shows that make it worth the asking price. Read More , here’s a surprise: it’s not! You can rent and stream movies, individual TV episodes, or entire TV seasons. You have 30 days from time of rental to start watching. Once started, you have 48 hours (for movies) or 14 days (for episodes and seasons) to finish watching. You can also set a PIN on your Amazon account to restrict unauthorized purchases and set parental control viewing restrictions. Thinking of buying a book but not sure if you’ll like it? If it has a Kindle version available, Amazon will grant you a sneak peek using its online book reader. The length of the preview varies, but I’ve often been able to read at least the entire first chapter this way. To launch the online book reader, just click on the book’s cover art. If you buy a Kindle ebook, get through the first few chapters, and realize it’s not what you expected, then you can always return it for a full refund — but only within seven days of the initial purchase. If you wait too long, you’re stuck with it. When you come across something you want on Amazon, fighting the urge to buy it on the spot can be tough. 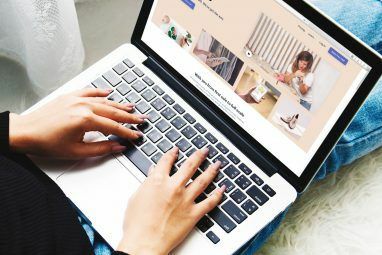 One trick for spending less on Amazon 7 Tricks That'll Help You Waste Less Money Online 7 Tricks That'll Help You Waste Less Money Online Who needs willpower when you can trick yourself into spending less money online? Read More is to utilize its Wish Lists feature: save it on a list for at least one month, and if you still want it, then buy it. On the other hand, the Idea Lists feature lets you create lists that are publicly visible. This comes in handy when others want to buy you a gift, such as for your birthday or for a round of Secret Santa. Unwanted gifts will be a thing of the past! If you’re pregnant and/or engaged, you can use Amazon as a Baby Registry and a Wedding Registry. Most people already shop on Amazon so this makes it easy for everyone involved. If Amazon doesn’t carry an item you want, you can add items from other e-commerce sites. The Baby Registry offers a 90-day return policy while the Wedding Registry offers a 10 percent discount for all items shipped by Amazon (20 percent discount if you’re a Prime member). Get started with our guide to starting a registry on Amazon How to Create an Amazon Baby Registry That Everyone Loves How to Create an Amazon Baby Registry That Everyone Loves As your baby is about to arrive, your friends and family will ask what they should buy for new one. The Baby Registry from Amazon is the perfect place for a Baby Needs This list. Read More . Are you a college student? Textbook costs can eat away at your budget, causing you to spend far more money than expected. Not only are they expensive, but they have terrible resale value. Fortunately, Amazon has a Textbook Rental feature just for you. To rent a textbook, add it to your cart but select Rent instead of Buy New. You’ll see a due date, which is usually at the end of the current semester. Shipping for textbook returns is free. If you don’t return it on time, you’ll be charged a 15-day extension fee, then the book’s purchase price. A feature called Amazon Follow lets you “follow” various authors, brands, interests, and even other customers on Amazon. Doing so alerts you when new products are released, or in the case of customers, when they post new product reviews. For follow recommendations, check out this page. To manage follows, go to your Who I Follow account page. Want to run a giveaway or sweepstakes to promote your event, company, or organization? Amazon can do all of the hard work for you. Just pick a prize (here are all eligible items) and set up the giveaway details. Amazon will handle the entry requirements, winner selection, and prize fulfillment so you have nothing to worry about. The immensely helpful Co-Pilot feature allows an Amazon support agent to take control of your web browser to help you out in a more direct way (e.g. show how to use a site feature). Before control is given, the support agent will share an activation code that you must type in to confirm permissions. The code only lasts for five minutes, at which point you’ll have to re-enter another activation code to extend permissions. Have you heard of Amazon Vine? It’s a special program where Amazon customers can test and share their opinions on newly released (or yet to be released) products for free. This is an invite-only program that targets customers who regularly write in-depth product reviews. Perhaps it will give you the necessary motivation to take product reviews more seriously. As you can see, there are many aspects of Amazon that you probably aren’t taking advantage of — and none of them require a Prime membership! Surprising, right? How many of these Amazon features are new to you? Are there any other hidden Amazon features that we missed? Share with us down in the comments below! Prime Reading. Borrow books for free, just like at the public library, and return them when you're finished. No deadline for the returns, either.